Things are really heating up now in one of the most prestigious events at the 2018 World Series of Poker. Just 12 players remain in the $50K Poker Players Championship, and it’s a former two-time winner who bagged up the chip lead. Meanwhile, a ten-time bracelet winning legend bagged a top five stack. Sunday’s WSOP action also the record-breaking Seniors Event reach a final table, while two events played through Day 1 flights. Here’s all the news from Sunday June 18 at the WSOP. It’s set to be a very exciting day at the tables tomorrow, as a tournament with one of the most coveted bracelets on offer edges closer towards a final table. Event #33: $50,000 Poker Players Championship has seen its 87-strong field chopped down to just 12, and it’s two-time winner Michael Mizrachi who again holds the overnight chip lead, having ended Day 2 as chip leader too. Could Mizrachi Win It a Third Time? Mizrachi ended play with 4,232,000, and he’s most closely followed by Mike Leah with 3,134,000, and Aaron Katz with 2,480,000. 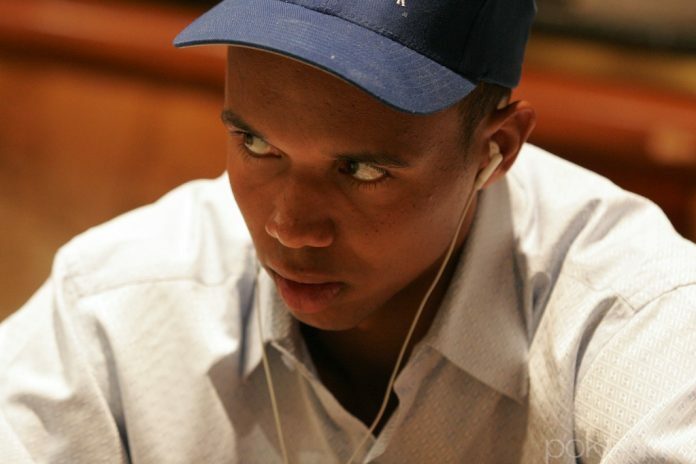 The rest of the field is a who’s who of the game, with ten-time bracelet winner Phil Ivey finishing with the fourth biggest stack (2,146,000). Three-time bracelet winner Benny Glaser (1,967,000) is still in the hunt, while Dan Smith seeks his first bracelet (1,816,000). Five-time bracelet winner John Hennigan is looking for his second bracelet of the summer (1,458,000), while Greg Mueller, Brian Rast, Chris Vitch, and Shaun Deeb are all hoping to add more WSOP jewellery to their collections. At the bottom of the counts is Jean-Robert Bellande, who is in bad shape with just 213,000. They’re all in the money though, with 14 players paid and Mike Gorodinsky the unfortunate bubble boy. He ran pocket kings into pocket aces to cooler his way out. Everyone in this tournament is a notable name, but a few other bust-outs they saw today include Jason Mercier (28th), Daniel Negreanu (26th), and defending champion Elior Sion (23rd). There’s $1,239,126 for the champ, as well as the prestige and the bracelet. The guaranteed pay-out right now is $88,627, with action set to resume at 2pm Monday. Event #34: $1,000 Seniors No-Limit Hold’em Championship broke records for the largest ever Day 1 in history back on Friday. Now, after Day 3, just eight of the 5,919-strong field remain. It’s final table time. Gary Friedlander is in pole position coming in, having bagged a chip lead with 8,080,000. He’s followed by Bill Stabler (6,085,000) and Matthew Davis (6,010,000). Day 3 began with 101 players returning for their shot at the bracelet and the massive $662,983 first-place prize. All eight have locked up $76,204 for their efforts, and they’ll return at 11am Monday to play down to a champ. Event #34: $1,000 Double Stack No-Limit Hold’em chalked up its Day 1B flight on Sunday, with a massive 3,314 entries, which when added to the Day 1A field makes 5,700 total entries. Just 1,285 of them would make it through both flights, and today it was Mike Tayakama who bagged up the most. He ended with 177,400, while there were many notable survivors including bracelet winners Loni Harwood (23,000), Chris Moorman (67,200), Niall Farrell (58,000), Bertrand Grospellier (20,700), and Chris Ferguson (12,200). Others to advance include Giuseppe Pantaleo (131,600), Anatoly Filatov (9,500), Harry Lodge (6,500), Manig Loeser (28,700), and Ari Engel (38,800). Day 2 kicks off at 12pm Monday, with only 855 of them making the money. A min-cash will be worth $1,500, while the eventual champ will get $644,224. While his brother Michael is chip-leading the $50K, Robert Mizrachi was doing good work himself over in Event #35: $1,500 Mixed Omaha. The tournament, which rotates between Pot-Limit Omaha Hi-Lo 8 or Better, Omaha Hi-Lo 8 or Better, and Big O (5-Card PLO/8), got 751 total entries. But now, with Day 2 in the books, there are 31 players remaining. 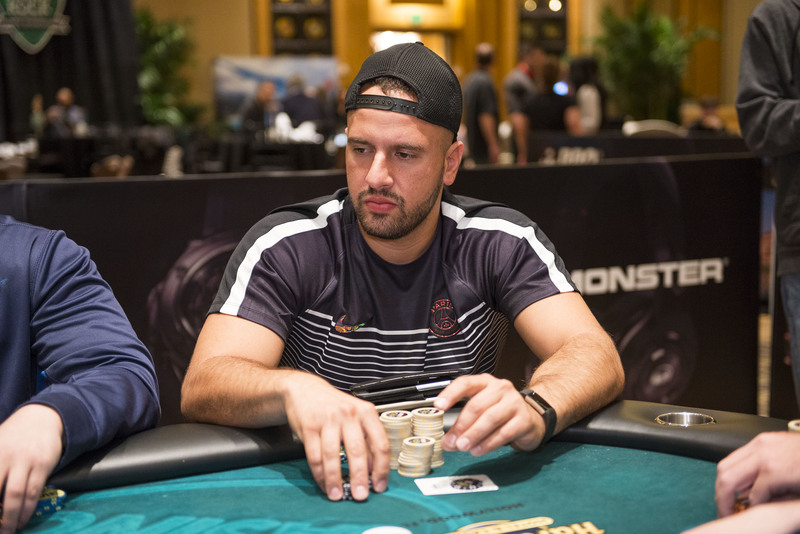 Mizrachi almost had the overnight chip lead, but in the last few hands of the night his 439,000 was pipped to the post by James Alexander (466,500) and Gabriel Ramos (452,000). Ryan Hughes (276,000), Jon Turner (218,000), Carol Fuchs (215,000), Mark Gregorich (176,500), and Bart Hanson (35,000) will also be returning Monday. The same can’t be said for this lot, who crashed out today: Martin Staszko (103rd – $2,258), Andrew Barber (84th – $2,444), Calen McNeil (71st – $2,444), Max Pescatori (69th – $2,631), Barry Greenstein (53rd – $3,256), Erik Seidel (43rd – $3,741) and Phil Hellmuth (35th – $5,252). Prior to the bubble bursting, Dan Heimiller, Connor Drinan, Chris Ferguson, and Stephen Chidwick were all eliminated. Play continues at 2pm Monday, and the plan is to play down to a winner, who will receive $211,781. If you were 60 or over and busted out of the Seniors Event today, chances are you went and hopped straight into Event #36: $1,000 Super Seniors No-Limit Hold’em. This one got a massive field of 2,191 runners today. Ten levels later and just 347 remain. Clifford Matthews can call himself chip leader overnight with 137,900, but Henri Bisson isn’t far behind with 130,000. A few notables we lost today include Marcel Luske, TJ Cloutier, Neil Bluminfield and Dan Harrington. Action resumes at 11am Monday, with only 329 players making the money ($1,500 min cash). On Sunday, there was also another starting flight in Event #11: $365 PLO GIANT Pot-Limit Omaha. The flight attracted 429 runners, but only 23 of those will proceed to Day 2. Tim Andrew leads with 1,375,000 after 21 20-minute levels. Other to advance include Yoni Basin (1,130,000), Russell Sartin (1,025,000), Layne Flack, (825,000), Steve Gagliano (795,000), Sandeep Pulusani(670,000) and Joon Park (495,000). Some of those who made the cash but couldn’t find a big were Thomas Taylor (31st – $861), Ylon Schwartz (37th – $750), Kevin MacPhee (45th – $750), Mikhail Semin (55th – $605), Chris Back (57th – $605), Danny Wong (64th – $560), and Dan Zack (65th – $560). There will be another starting flight next week.